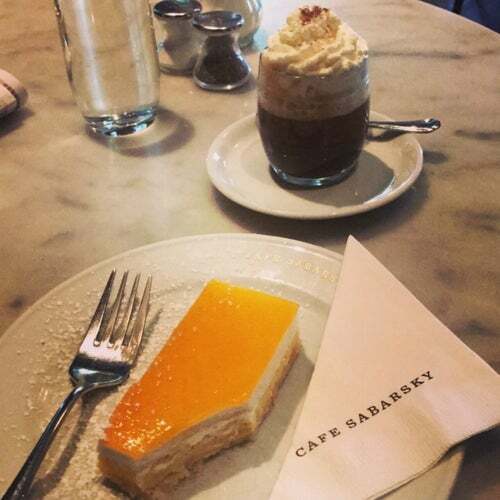 Caf Sabarsky, which bears the name of Neue Galerie co-founder Serge Sabarsky, draws its inspiration from the great Viennese cafs that served as important centers of intellectual and artistic life at the turn of the century. It is outfitted with period objects, including lighting fixtures by Josef Hoffmann, furniture by Adolf Loos, and banquettes that are upholstered with a 1912 Otto Wagner fabric. A Yamaha S4 grand piano graces one corner of the Caf, and is used for all cabaret, chamber, and classical music performances at the museum.